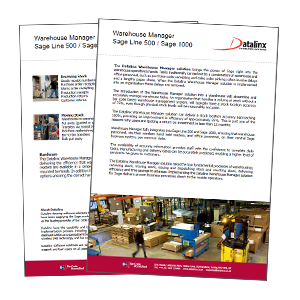 Datalinx Warehouse Manager is one of the most flexible and sophisticated warehouse management systems available for the Sage system in the UK, Europe and worldwide arena. It provides real-time warehouse management using wireless handhelds with a huge list of features enabling it to adapt to your business and has more than 300 installations worldwide.It can be used as an addtion to your Sage business system to enable simple barcoding or it can be configured to become a business critical warehouse management system that will manage just about any variant of the key warehouse processes. 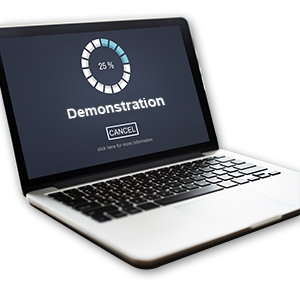 The Datalinx Warehouse Manager solution takes the four fundamental processes of warehousing; receiving stock, moving stock, issuing and dispatching stock and counting stock, delivering efficiency and time savings to all areas. Implementing the Datalinx Warehouse Manager solution for Sage delivers proven business processes direct to the mobile operators. As the Datalinx flagship product it has over twenty years of continuous development invested in the system and we are committed to continuing with this for our customers.